Balancing the challenge of retaining talent with plans for workforce expansion and financial growth are some of the key priorities for companies in 2014. We surveyed almost 5,000 executives and HR professionals to find out how 2013 went for them and their top concerns and plans for 2014. Want to know what they said? 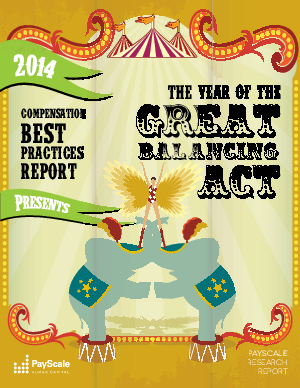 Get PayScale's 2014 Compensation Best Practices Report to learn what companies from all industries, sizes and locations have to say. This year's Compensation Best Practices Report shows an increasing concern about the ability of businesses to retain top performing employees, reflecting an increasingly competitive talent market.